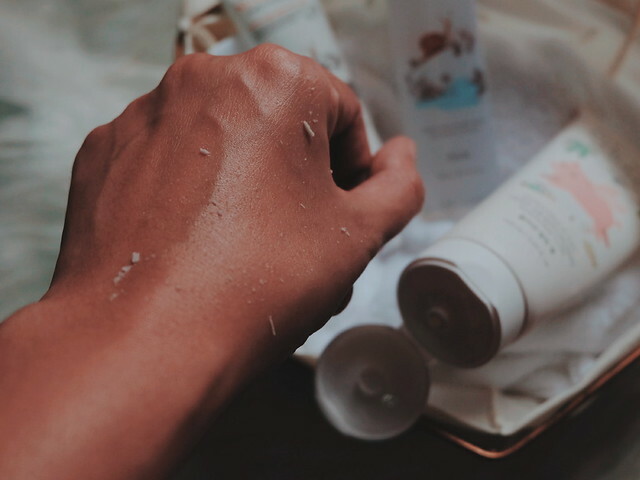 I am not the type who usually jump from one skin care product to another especially that I have such a sensitive skin which easily breaks out. If I do, I have to try the whole skin care set; and this month's favorite is Korean Skin Care brand - Esfolio. I got the Super Rich Coconut Set from Esfolio. 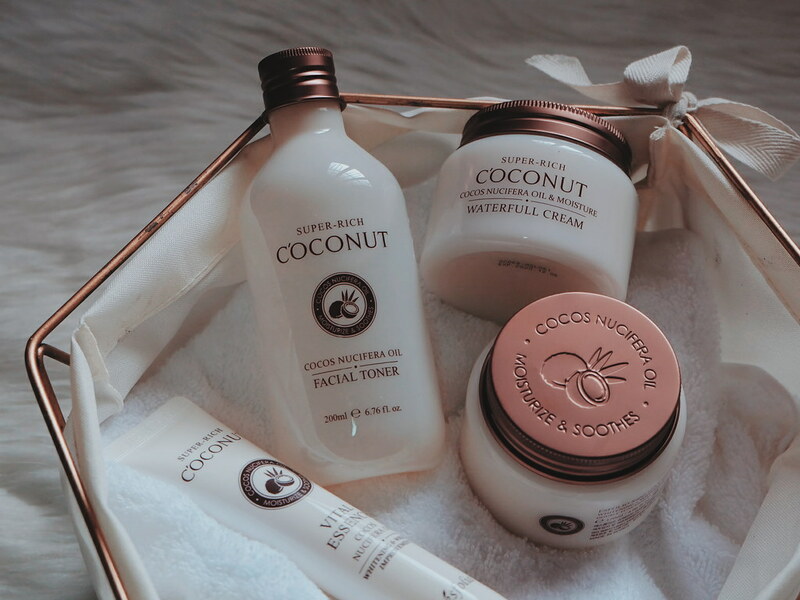 I somewhat got confused with the packaging and the main ingredient (coconut) and thought that it is a local brand. Esfolio is actually a brand which was established in Korea in 2011 and uses only natural ingredients. 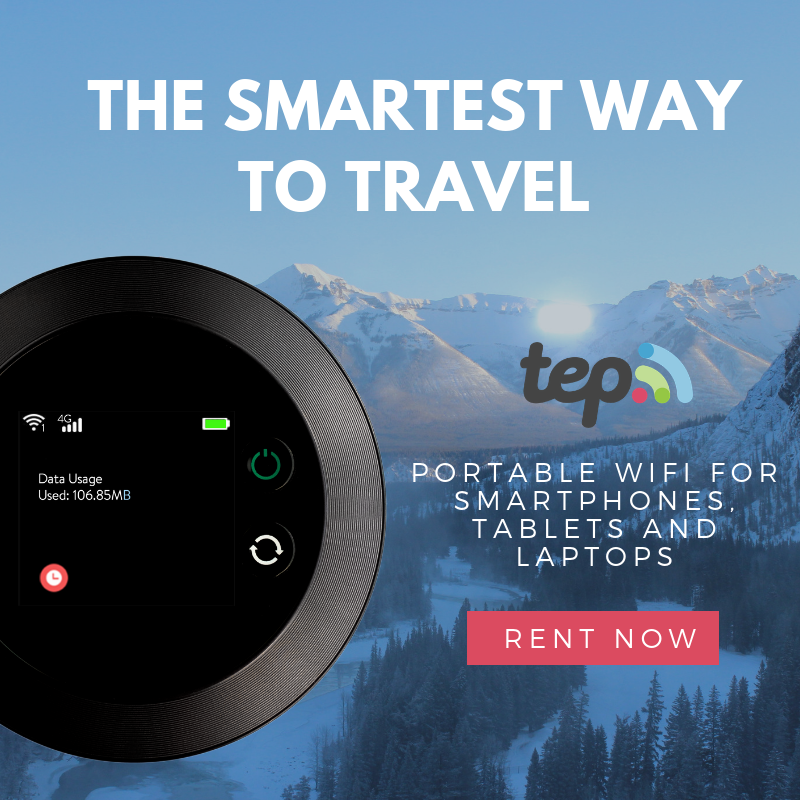 I did my little research online and indeed, Esfolio is a legit Korean brand. ✌️ I remember seeing Esfolio Facial Masks in different variants through online beauty stores. 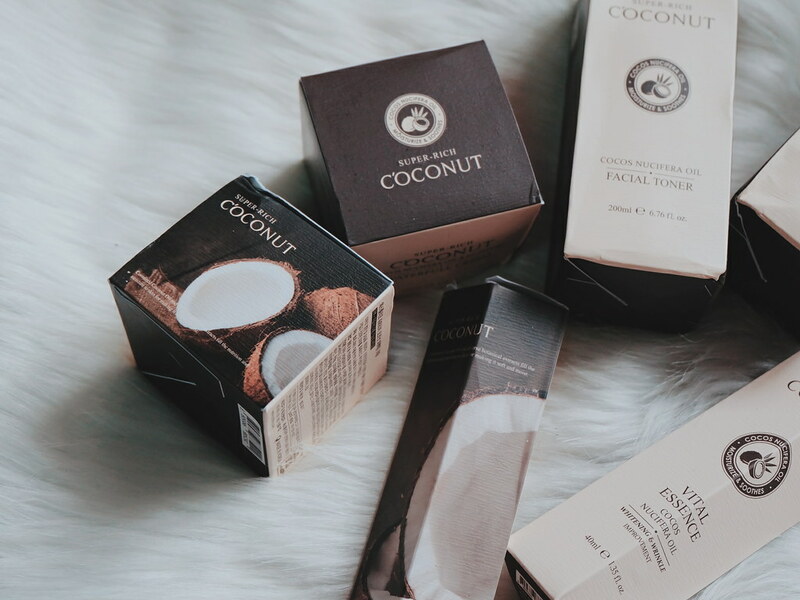 The Esfolio Super Rich Coconut Set consists of 6 products that help to effectively brightens the skin; lessens the look of wrinkles and fine lines; and diminishes damage from the sun. Surprisingly though, the set doesn't come with a cleanser. I decided to use the soap that my dermatologist has prescribed while testing this set. 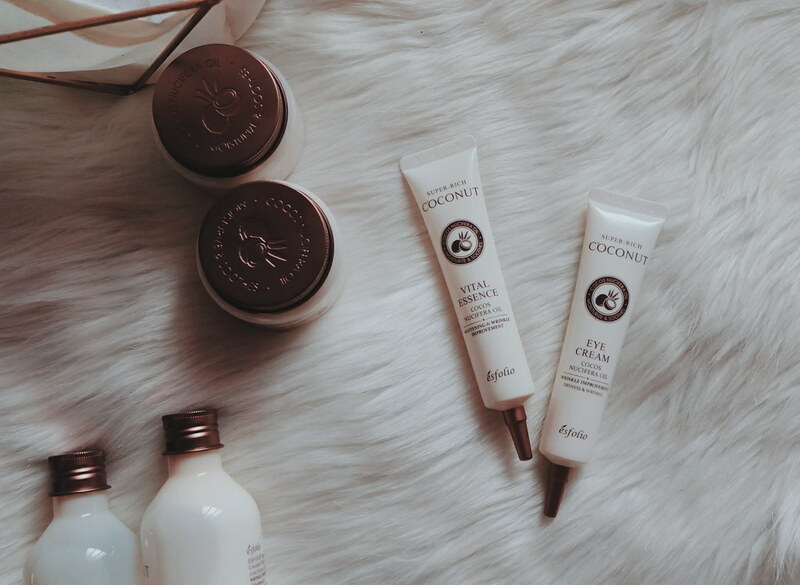 The products' main ingredient is coconut and expect that this is perfect for those with dry or normal skin. I have a combination-oily skin but I still gave it a go but only included it in my night skin routine. The Esfolio Super Rich Coconut Facial Toner is enriched with coconut oil to fortify and nourish dry skin. It smells fresh but somewhat thick (I would suggest using facial pads vs cotton balls). It hydrates with hyaluronic acid to plump up and smoothen skin. No stingy feeling after applying on my skin. The Esfolio Super Rich Coconut Facial Lotion is formulated with squalene, a natural moisturizing ingredient. I got familiar with this ingredient when my brother had a skin condition and was advised to use squalene (from fish oil). 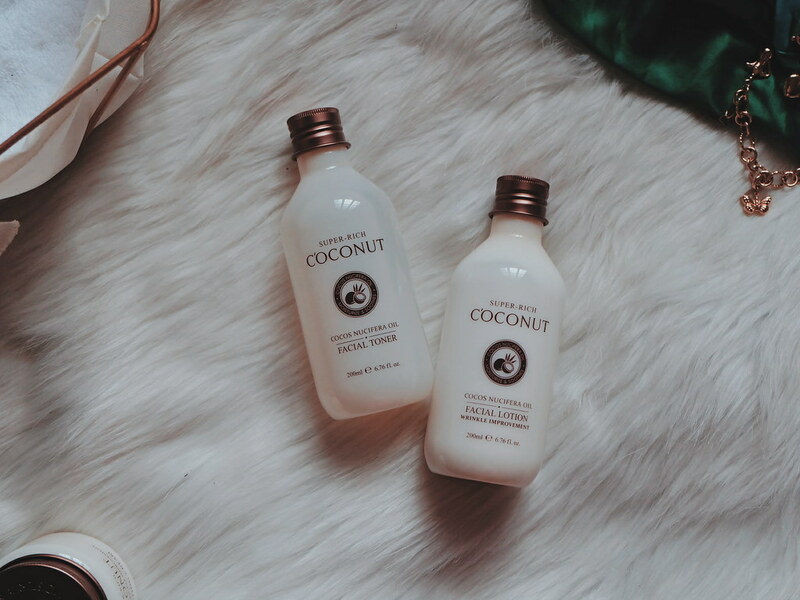 It helps enhance elasticity to firm and rejuvenate the skin; while coconut oil helps fortify and nourish giving a healthier look. Although it feels runny, I find it a little too thick for my skin. 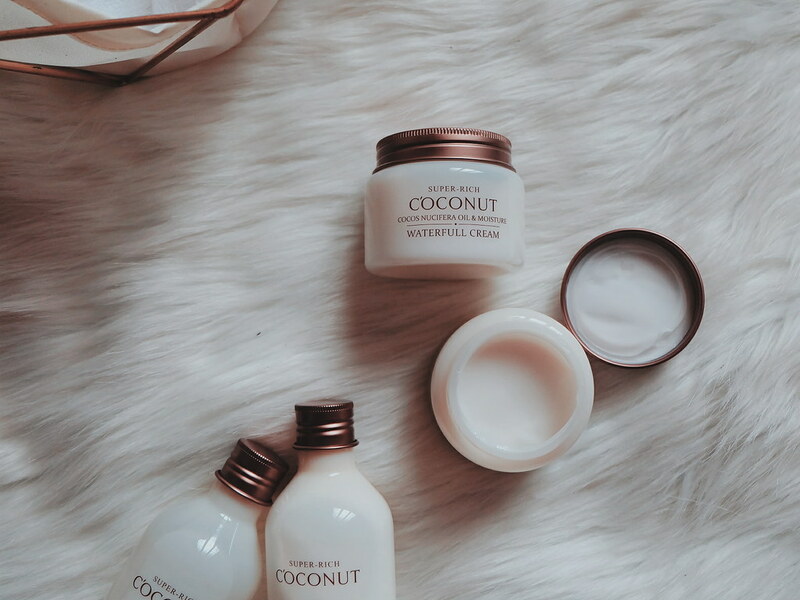 The Super Rich Coconut Waterfull Cream is formulated with 20 percent moisturizing agents that help prevent water evaporation; works to maintain overall skin health by strengthening its natural protective barrier; works to reduce the appearance of fine lines and wrinkles; enriched with coconut oil to fortify and nourish dry complexions. I am all go with anything that would delay the skins of aging so I am giving this product a chance to work on my skin. I wish there were a little spatula that goes with it because I find it odd to be dipping my finger in this cream every night. 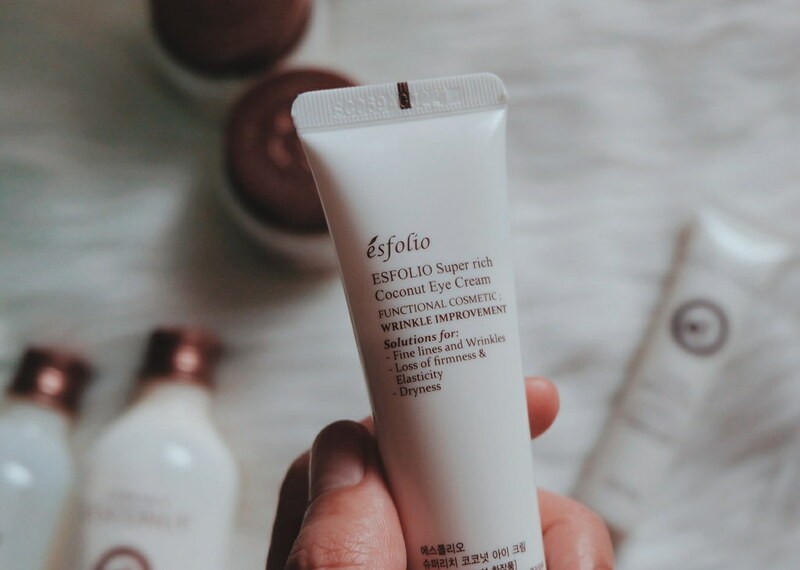 The Esfolio Super Rich Coconut Perfecting Cream is formulated with emollient shea butter, which softens, smoothens, and conditions the skin. It helps soothe as it banishes feeling of dryness and tightness to plump up skin for a youthful look. The product feels light and smells good too. 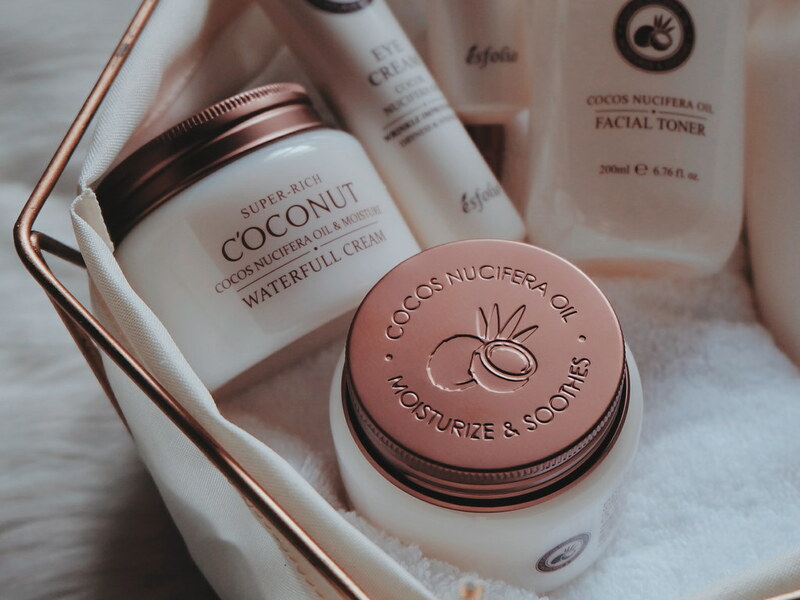 The Esfolio Super Rich Coconut Vital Essence is infused with niacinamide to effectively brighten your complexion; works to reduce the appearance of fine lines and wrinkles; enriched with coconut oil to fortify and condition dry pelts; leaves a plump, hydrated, glow-y look. I think each of the Esfolio products are really designed to be used with other Esfolio products on this set. The Esfolio Super Rich Coconut Eye Cream boosts moisture levels with portulaca oleracea and witch hazel extracts; formulated with emollient shea butter, which softens, smoothens, and nourishes; helps soothe as it banishes feeling of dryness and tightness; works to reduce the appearance of fine lines and wrinkles; enriched with coconut oil to fortify and condition dry skin; hydrates with hyaluronic acid to plump up skin for a youthful look. This is my current favorite eye cream! Too big a packaging for an eye cream but like how it is presented, it does big wonders! It helps boost elasticity as it promotes skin regeneration and repair with snail secretion filtrate; hydrates, calms, and comforts with aloe leaf extracts; provides a natural protective layer with allantoin, glycolic acid, and collagen; helps minimize the look of blemishes and dullness for a bright-eyed, healthier appearance. If you are in your 20s and looking for an eye cream, this one is I would recommend to you. That cute flying pink pig in the packaging is everything! The product boosts elasticity with collagen extracts for a plump, luminous look; conditions, heals, and repairs with moisture-rich honey and royal jelly extracts; soothes, and revitalizes with propolis extracts containing flavonoids; promotes improved texture for a softer, smoother look; transforms skin from dull and rough to silky, even, and moist. You just need a small amount to slather in your skin and peel off dead skin cells and rough skin. Your skin will feel extra silky after washing. I thought this product got lost in the mail as it looks so out of place from the Esfolio Set I got. 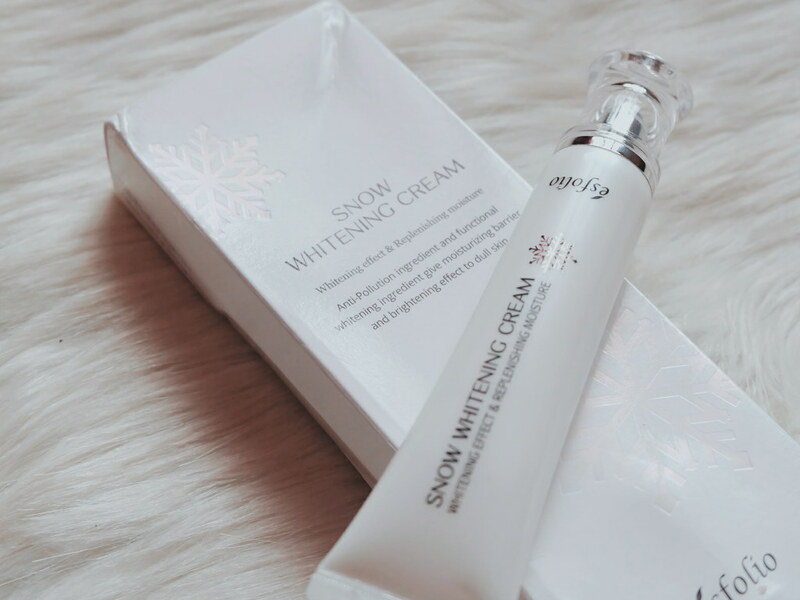 True to its product's name, Esfolio Snow Whitening Cream promises to brightens and protects the skin from environmental aggressors, such as air pollution and sun damage. 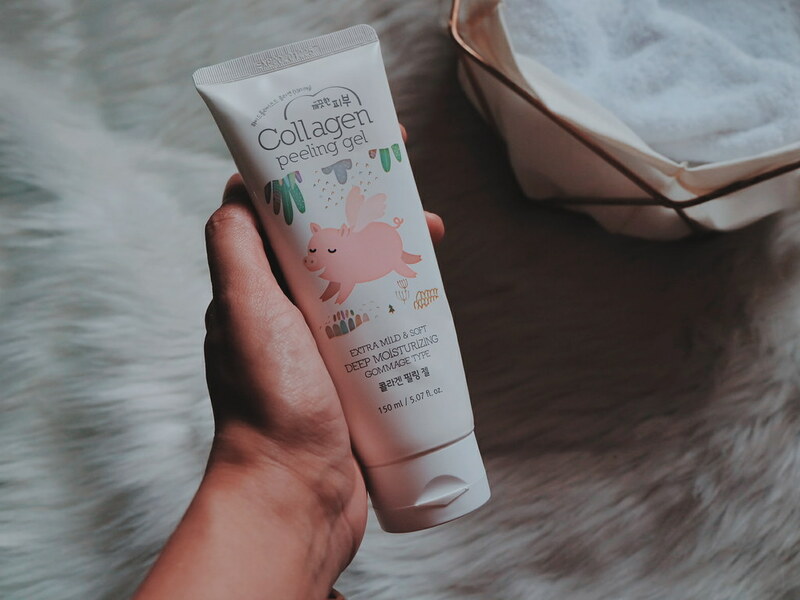 It has 5 kinds of seaweed extracts, hyaluronic acid similar to the natural moisturizing factor and niacinamide that prevent skin darkening and discoloratio. 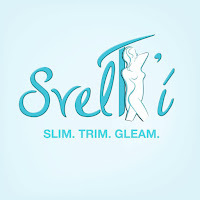 I have yet to try this product and I will update this blog to share my review. 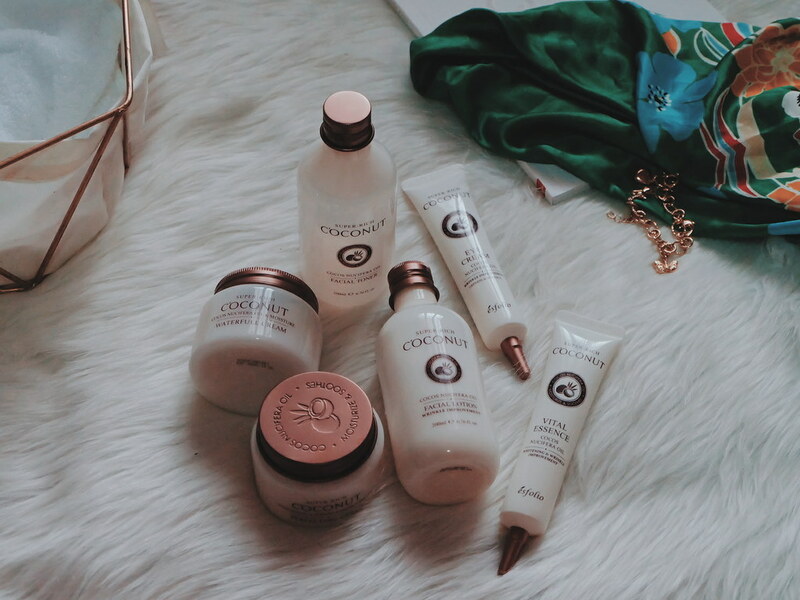 I really love how the products smell so sweet and refreshing as if you have just gotten out of the shower. I think it is perfect for the night routine for also setting the mood for a good sleep. I like how it feels light on my skin even if they are mostly infused with coconut. The first morning after I used the products, I was expecting my skin to feel really oily, but it felt moisturized and plump. 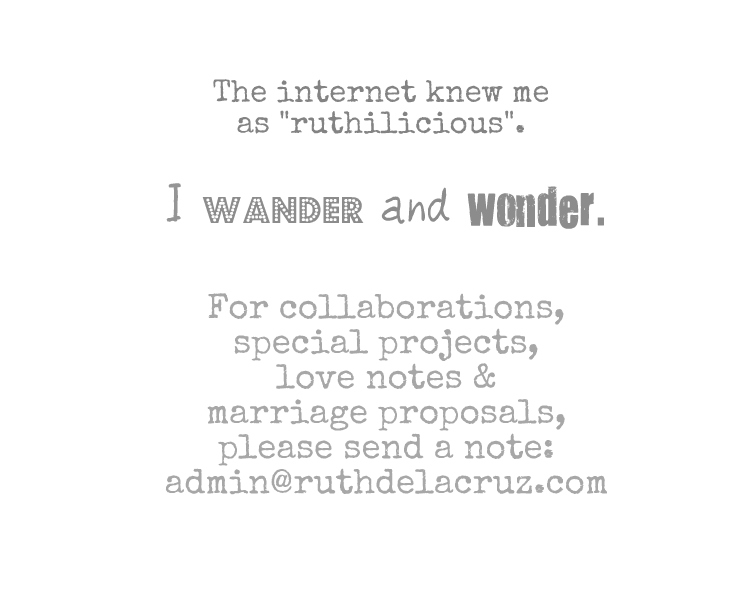 I love that I didn't get breakouts or feel stingy after using the products. 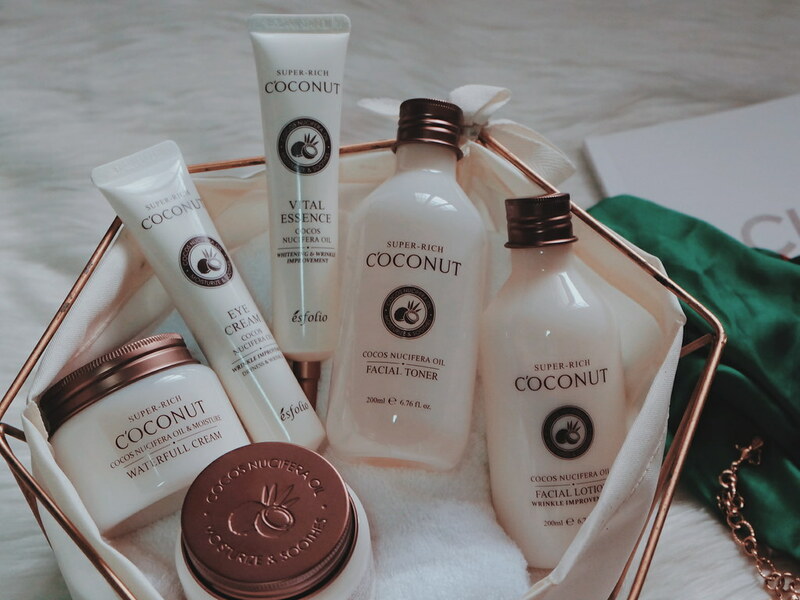 I think the Esfolio Super Rich Coconut Set is really meant for those with dull and dry skin - evident with the many moisturizing products in the set (with coconut as the main ingredient). I haven't really seen much changes in my skin condition but I like that I didn't get any bad side effects while using the products. 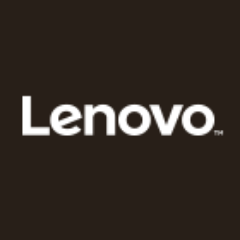 Have you tried using any of the Esfolio products? You can check out https://www.facebook.com/EsfolioPhilippines/ and buy Esfolio products online via https://www.esfolio.ph/.